SnapView, which can be regarded as a new user, provides an extra space where you can store photos, files, and apps separately. 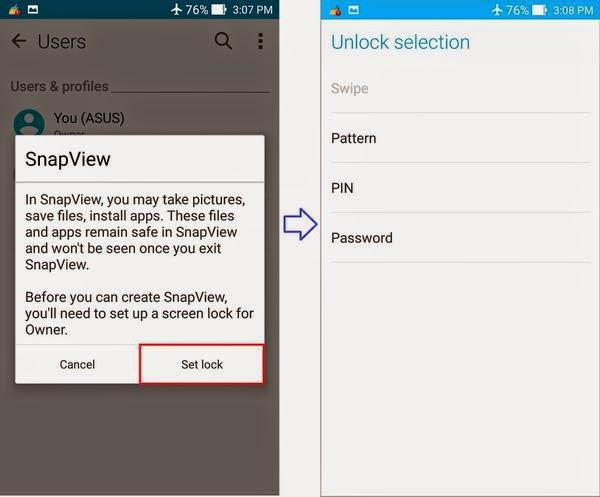 All photos, files, and apps that are stored in SnapView can not be accessed when you are in an account of owner or other users. 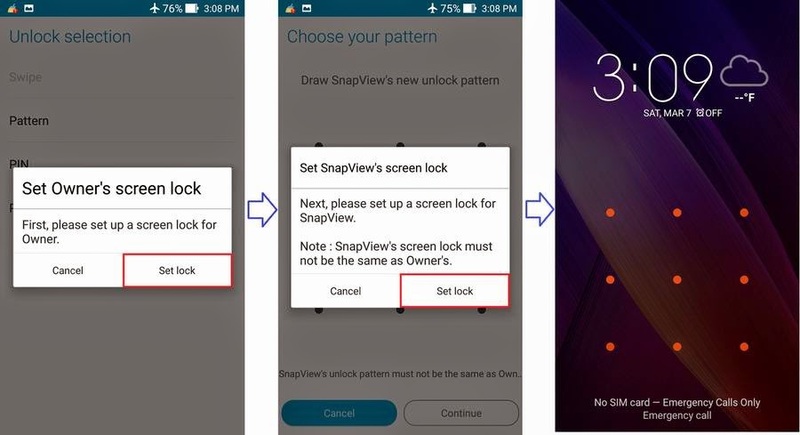 After SnapView account is set up, you can access "SnapView" or "Owner" by entering different screen lock password or pattern when the device is in sleep mode. 1. Go to "Settings" -> "Users" -> "Add user" -> "SnapView". 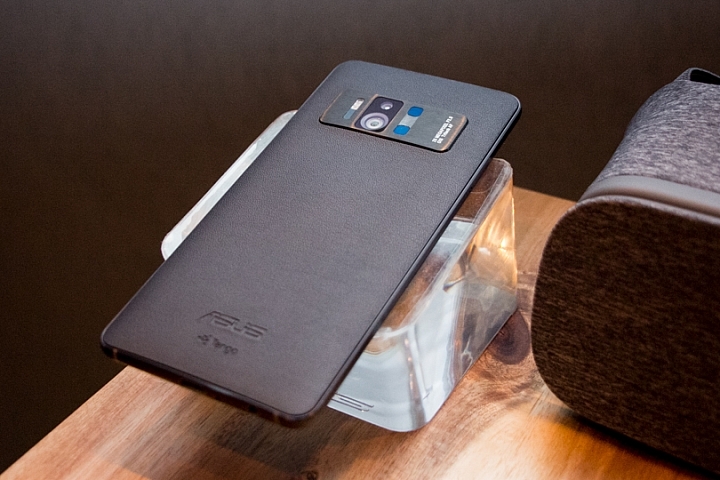 Note: Only one user can be added on your phone. 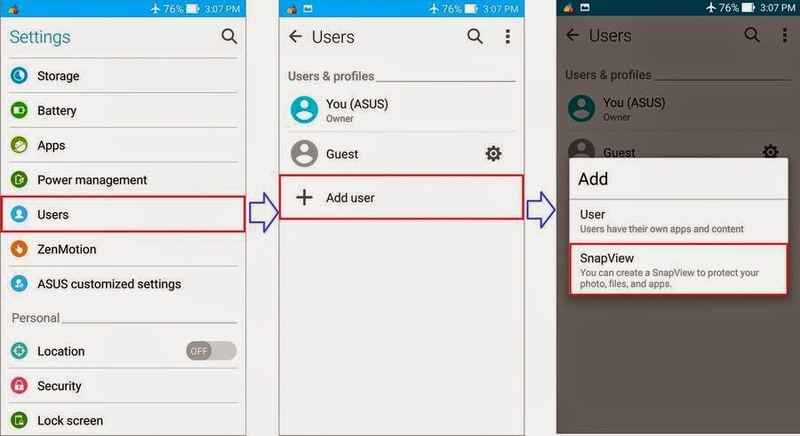 Therefore, you can not add another user after you create SnapView. 2. 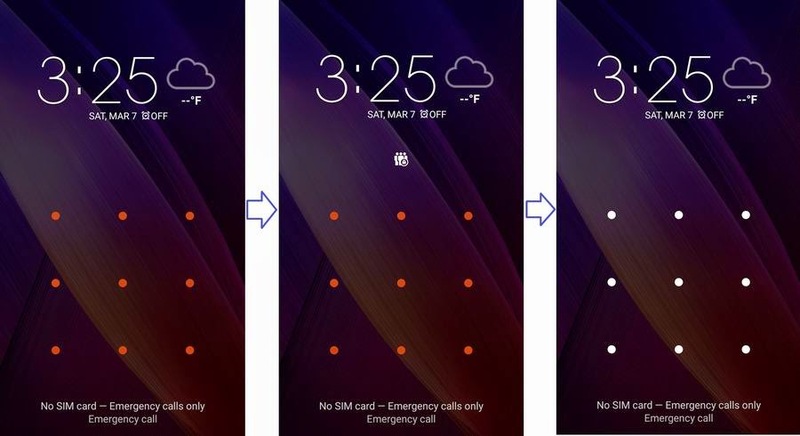 Select your screen lock method. 3. 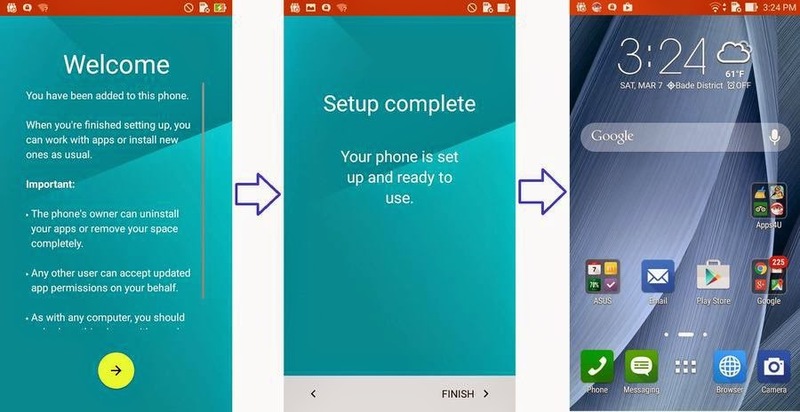 You need to separately set up Owner's and SnapView's screen lock. 4. 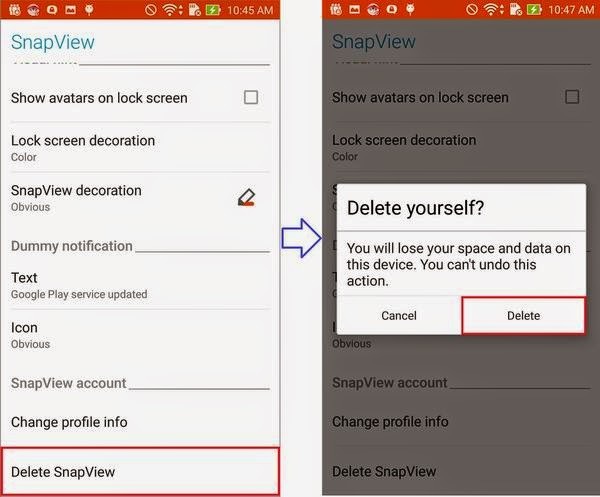 Set up your phone settings since a new user (SnapView) is activated. 5. 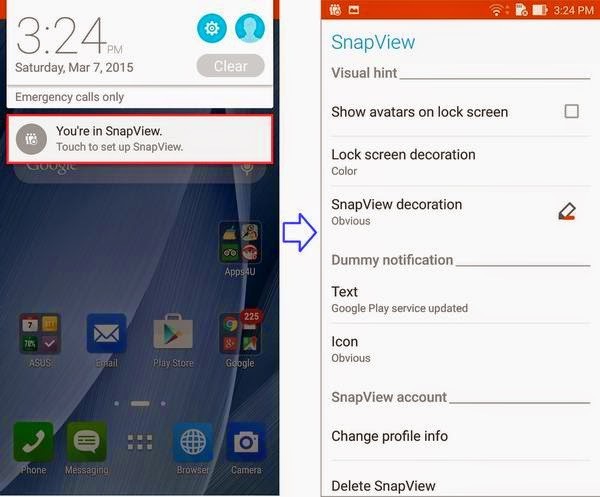 Slide down the screen to access system notifications and then tap "You're in SnapView" to enter SnapView settings. You can set up your preferences here. Please see picture below for preferences, from left to right, "Color", "Icon", and "None". Please see picture below for preferences, from left to right, "Obvious", and "Subtle". If you log in LINE in SnapView and then go back to Owner, a dummy notification (from SnapView) will be appeared as shown below when someone send you a message via LINE. Even you tap the dummy notification, no action will be triggered. 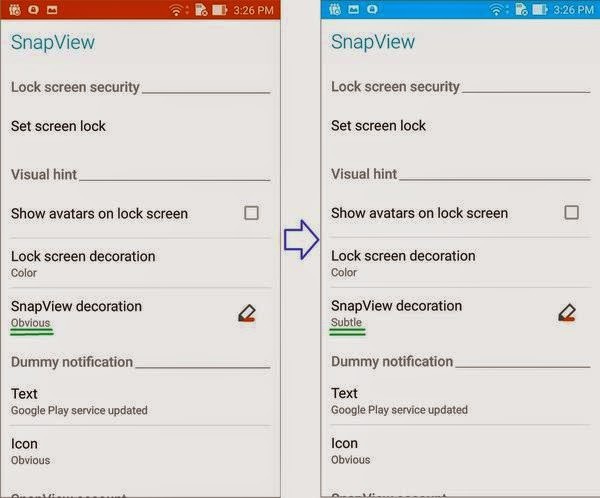 The real notification can be seen only when you are in SnapView. 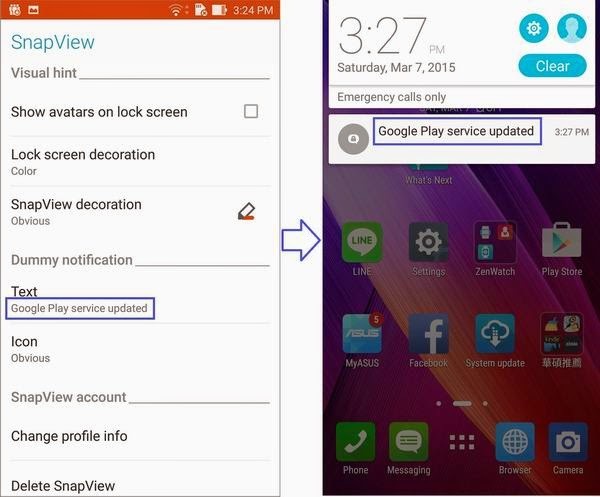 Moreover, you can modify the text of dummy notification per your preference. Tap "Delete SnapView". Please note all data in SnapView (files and SnapView account) will be deleted.